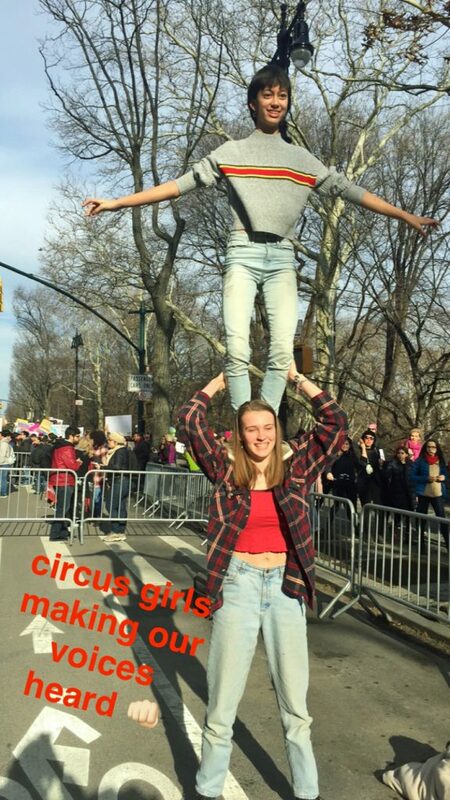 I was the wingman yesterday for my daughter at the Women’s March in New York City. There were about 120,000 people out to express their determination to make change. Last year it was about the outrage at the election of such a manifestly unfit person to be the head of America’s executive branch of government. This year it was about putting some more balance back in our democracy by electing people to office that reflect more traditional American values than the ones that prevail in Washington now like lies, greed, megalomania, malignant narcissism, and the complicity of certain members of Congress in all this – yes, you, Republicans. And here’s a quick TV news summary of yesterday’s events which also references a key event today in Las Vegas: the kickoff for the “Power to the Polls” initiative. Our resistance to the nightmare of the Trump Administration and its many friends in the Republican Party and right-wing media (not to mention among Putin and his oligarchs) will go on. We are the mainstream, people, not these rapacious fools in power now in the federal government. We will continue to march. And go to court, and prosecute the criminals, and vote. And have fun. Democracy and joy go hand in hand. This entry was posted in articles, books, conferences, videos, special events etc. 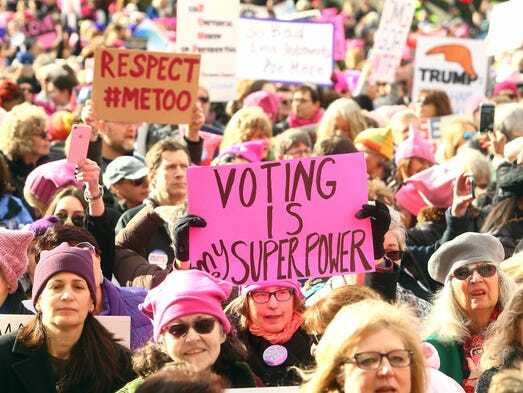 and tagged Power to the Polls, Women's March 2018 by Bill Hewitt. Bookmark the permalink.